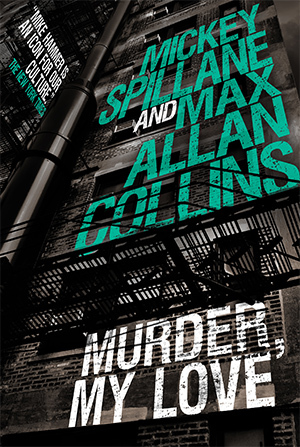 When I checked my tablet (Barnes & Noble Nook 10.1) this morning, it alerted me to the presence of a new Max Allan Collins’ novel, Murder, My Love. Since my beloved Inkwood Books in Tampa recently shuttered, I will order this through Snail on the Wall Books, an independent bookseller in my new location in Huntsville, AL. While spending the day in the USO at Dallas-Fort Worth International Airport, I saw the Michael Caine book on their swap shelf, but I left it there in favor of a mystery novel called Blue Light Yokohama. I hope I don’t regret my choice. Despite the current climate, my favorite Caine performance is still Hannah and Her Sisters and Zulu is a sentimental favorite because it was my dad’s favorite movie. Back in the day, I picked up JACK CARTER AND THE LAW, the U.S. hardcover edition, at a D.C. bookstore. It was the same store (the late great Olsson’s Books and Records, maybe still called Bialek’s at that time) where I also found the rare Random House 1st of BUTCHER’S MOON when it was published. At least JACK CARTER’S LAW/. . . AND THE LAW had Stateside exposure in hardback — was there even a ’70s U.S. edition of JACK’S RETURN HOME/GET CARTER aside from the paperback movie tie-in? When I ran a short, positive review of the paperback in THE ARMCHAIR DETECTIVE in 1971, a reader asked in the next issue’s letter-col if it was a novelization of the movie. Al, I hope there was a good turnout at Coe College to help keep the Gorman torch burning. I only knew Ed from occasional phone calls when I was writing stuff for MYSTERY SCENE and ED’S PLACE, but I miss his critical acumen and even more so, his kindness and humanity. Happy Publishing Day. I finished reading Murder, My Love in a matter of a few hours. Fastest Mike Hammer novel ever. It certainly is authentic. I posted a brief five-star review on Amazon. Hope it helps. Since I was in Atlanta yesterday for a job interview (which I did not get), I stopped by A Capella Books and asked if they had Murder, My Love. They checked, said it had just arrived and diligently checked the new book boxes before realizing it was already on the shelf. So I got it there. I have waited with baited breath for the release of the new Hammer. Absolutely terrific and fully satisfying! Review on Amazon. Thanks for a wonderful Hammer mystery Max! By the way, Carter wasn’t the most recent Governor to be elected President in this novel, the late, great Ronald Reagan, former Governor of California I believe would fill that bill. Thanks again! Received Murder, My Love in the mail yesterday, and I look forward to reading it. Amazon review will be forthcoming. Thank you.